The Boston Celtics have reportedly been granted a Disabled Player Exception (DPE) for Gordon Hayward's injury, per multiple sources. The Celts, who are down one of their most important players after Hayward fell and both broke and dislocated his ankle in the season opener against the Cleveland Cavaliers on October 17th, are now eligible to sign a player for up to $8.4 million dollars without it counting against roster limitations or the tax, so long as key criteria are met. This includes signing or trading for a player with no more than one year on their contract, and that they do not exceed that dollar amount in salary and likely bonuses. 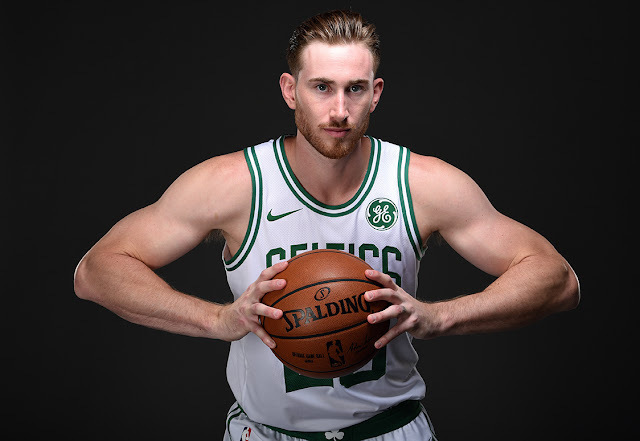 Additionally, the exception does not mean that Hayward cannot return this year - just that he is unlikely to - and if he does, the team gets to keep the player and is only on the hook for the additional salary without tax penalty. It may not be enough to replace Gordon, but if Boston waits long enough to allow teams to cut or buy out players as contention hopes fade later in the season, it's quite possible they can use the DPE to add a key rotation player to the mix. Even better, Boston, who still has a remaining roster slot aside from the DPE, gets to keep that as well, which may prove a useful tool for absorbing smaller contracts for assets or bolstering the deep rotation.